Himalayan pink salt is a pure, unrefined pink salt from the Himalayas. Available in 250g, 500g, 1kg and 5kg. Himalayan Pink Salt comes from the ancient Himalayan oceans that were present at a time when environmental pollution didn’t exist. An ideal alternative to table salt. Himalayan pink salt originated in the primal seas that were present in the Himalayas millions of years ago. This was during a time when environmental pollution simply didn’t exist, guaranteeing that the salt produced today is completely pure. After mining, the salt crystals are hand selected, hand-crushed and then finely ground. Lastly the salt is hand-washed before being left to dry naturally in the sun. Himalayan pink salt is a pure, unrefined, sun-dried salt. Is an ideal alternative to table salt. Is suitable for use in a steam bath, salt bath or sauna. Contains 84 different minerals and trace elements. It is rich in iron and magnesium. Mined by hand, without the use of machinery or explosives, in order to optimise its natural purity. Has been dried and processed at low temperatures. Totally free from fillers or any other additives. It is finely ground and thus easy to dispense. Himalayan pink salt can be readily mixed with water or oil. Store Himalayan Pink Salt in a sealed container, in a cool, dry place. It can be used for external purposes such as adding it to your bathtub for a particularly soothing and cleansing soak. To eat, sprinkle Himalayan pink salt to hot or cold recipes as a healthy alternative to regular salt or to add depth of flavour. Start by adding half of the 250g of Himalayan pink salt into your blender and add to it the rosemary and thyme. Blitz everything together until light green and fine. Now add to it the orange zest and the remaining Himalayan pink salt. You will not require to blitz everything as thoroughly here. Just a few pulses will be sufficient to mix in the extra added salt and orange zest. Put the salt and herb mixture into a flat tray, and just let it naturally dry out (ideally overnight). Store in a jar and cool dry place. This Tuscan Herb Salt is delicious sprinkled over salads or trying mixing it in with some olive oil, as a fragrant dip. 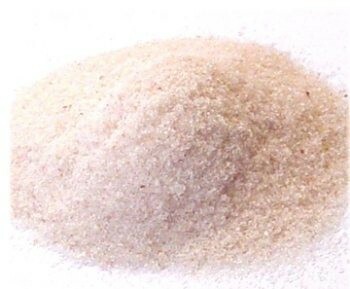 The mineral particles in pink salt are totally natural and so tiny that they are easily metabolised for the bio-chemical functioning of human cells. Because of this, Himalayan pink salt is one of nature’s most effective natural balancers. The best way to experience the profound cleansing properties of salt is to drink sole (solay). Sole is a 1% water/salt solution (the same as our blood, tears and the ocean). In addition pink salt can also be sprinkled over food or directly added to water to aid rehydration. To make a sole solution simply add a desert spoon of crystals into a glass jar then fill with water. Put the lid on and leave for 24hrs for the crystals to dissolve. Once dissolved add some more, up until such time that the crystals stop dissolving. At this point the solution is saturated at 26% and ready for consumption. Mined by hand, without the use of either machinery or explosives. Himalayan pink salt is finely ground and thus easy to dispense, and can be readily mixed with water or oil. Himalayan pink salt is an ideal alternative to table salt and may be used to enhance a wide selection of sweet (try a pinch in raw chocolate recipes, it brings out the delicious chocolate flavour even more!) and savoury raw food recipes. It is also suitable for use in a steam bath, salt bath or sauna. 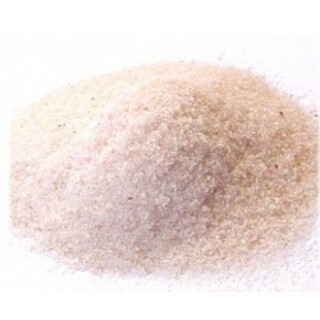 There has been much recent attention and growth in popularity for himalayan pink salt. Detox Your World has been carefully sourcing the highest quality pink salt directly from the Himalayas for over 10 years to provide you only the best pink salt. 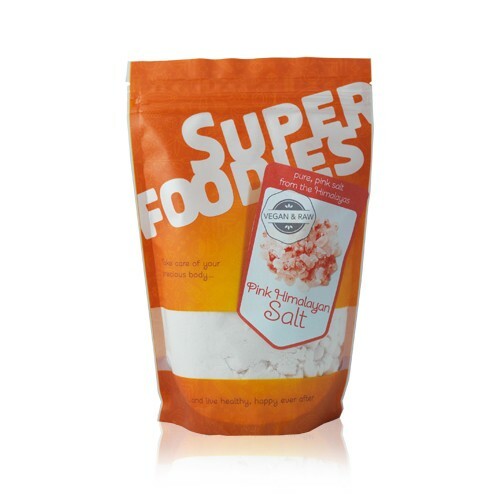 This Himalayan pink salt has been trusted and loved by you is the same great pink salt directly from the Himalayas by Detox Your World, but now in a new wonderful Superfoodies bag! 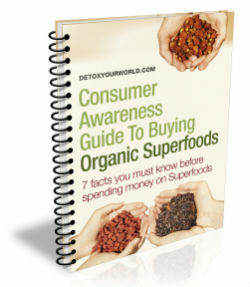 Superfoodies is the new brand from Detox Your World, that continues the great tradition from Detox Your World, of meticulous research from our team of experts to source only the best natural foods and ingredients on the planet directly to you in it's most pure and beneficial form. i use this salt daily. great taste and super healthy. Since hearing about the amazing properties of this salt I have been buying it for everyone. Salt on everything, yummy!